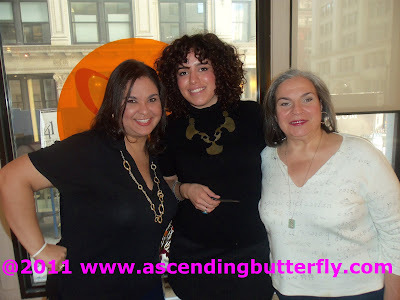 Ascending Butterfly: Not So Wordless Wednesday - My day as a Hair Model at Butterfly Studio Salon! 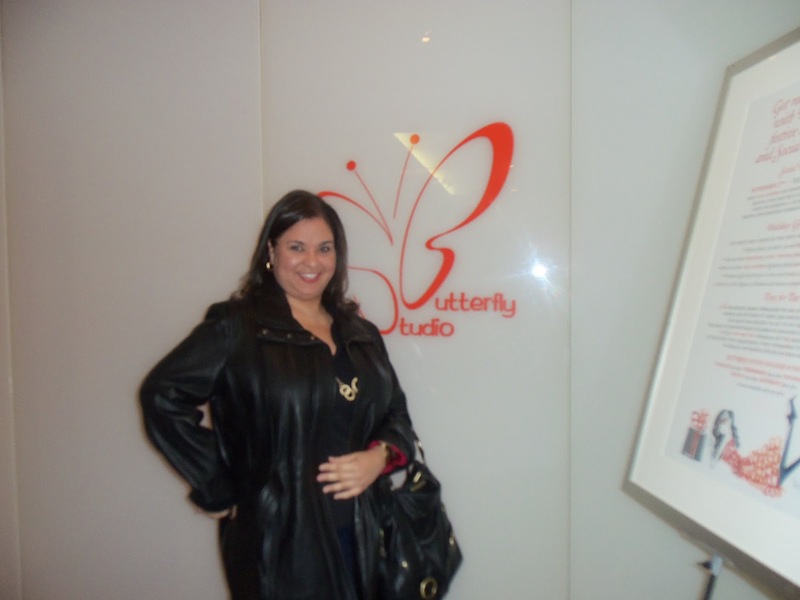 Not So Wordless Wednesday - My day as a Hair Model at Butterfly Studio Salon! Have you ever dreamed of being a Hair Model? Oddly enough it's the one New York experience that I have not had before.....Until Today! I'm kinda of a lifer type, I'm super loyal. I was with my first hair-dresser since late childhood until right about senior year in High School. He actually did my hair for Prom! He had a heart attack and at the urging of his family got out of the industry. I missed him terribly and floundered for a number of years. I never felt I got a cut as good as his in my adulthood, until today! Things had been so bad as of late, that my hair sadly went a full year uncut! (I know right?!! I can totally hear you gasping!) I knew I couldn't continue to leave my ends un-attended, they were literally starting to look fried. After attending the Hair 101 event at L'Oreal Paris, I asked team L'Oreal for a Salon Recommendation in NYC and the first salon that was recommended was Butterfly Studio Salon. (Why I hadn't heard of them before the glowing recommendation from L'Oreal I don't know). But I learned a long time ago to trust the butterfly, and follow it wherever it leads me. Butterfly Studio Salon has Junior Stylists that are working toward their chair in the salon, and often need hair models so that the stylists can advance. Normally something like this would scare me, I've had my share of really scary haircuts, I mean really scary. But for some reason this year has been all about change for me, and I really, really wanted a major change. I was starting to feel like Sade, people were able to spot me at events by my super long pony tail! Well butterflies, no one will be able to spot me by my super long ponytail anymore, because it's GONE!! Maybe because I was so ready for a real change, I really put myself in my stylist's able hands and let her take the vision of what I wanted, coupled with her expertise and knowledge of what my hair really can and can't do, and let her transform it. My stylist, Margaux Martinez, managed to take my un-manageable mane and truly transform it. I feel about 10 pounds lighter! In all my salon experiences, my blow outs usually entail a ton of painful tugging, followed by either a flat iron or a curling iron (depending on the desired style), this is literally the first time I couldn't feel my hair being tugged at all, she has great hands and a very light touch. Disproving the 'Dicho' (saying) 'El que quiere moños bonitos aguanta jalones' which loosely translated means 'If you want pretty hair you will deal with the yanking/pain. This was the most 'pain free' (and I mean that in every sense of the word) salon experience I've ever had, and I can't recommend Margaux or the team at Butterfly Studio Salon higher! Oops, tucked the front behind my ears when I put my coat on! And you know I love companies that give back, brands with a conscience, and Butterfly Studio Salon is giving back this holiday season, here's how you can do something wonderful for you, and give back at the same time. The salon has decided to act to put some cheer into the faces of disadvantaged children by donating new toys and participating in the Toys for Tots program. On your next visit if you bring a new unwrapped toy valued at $10 or more, you will receive 10% off on your next service. Something nice for you and a way to give back too, How cool is that? I wouldn't be doing my job as a fab frugalista if I didn't mention that during the holiday season if you check in on Foursquare or Facebook you will receive a complimentary Kerastase travel sized product. I found a new stylist and new favorite salon, today has been a fantastic hairday! Happy Not So Wordless Wednesday Butterflies, Hope you are having a fantastic hairday, I know I am! FTC Disclosure: This is NOT a sponsored post. No compensation has been received by Ascending Butterfly for this post! This salon cannot be more you! :) I love your new look...simply gorgeous! ooh la la - looking HAWT! So silky and shiny, love the look! What fun! Your hair looks amazing. Off to check out your Tree Seedpod WW post! Brave move and it paid off! Nice to put your trust in a new stylist.